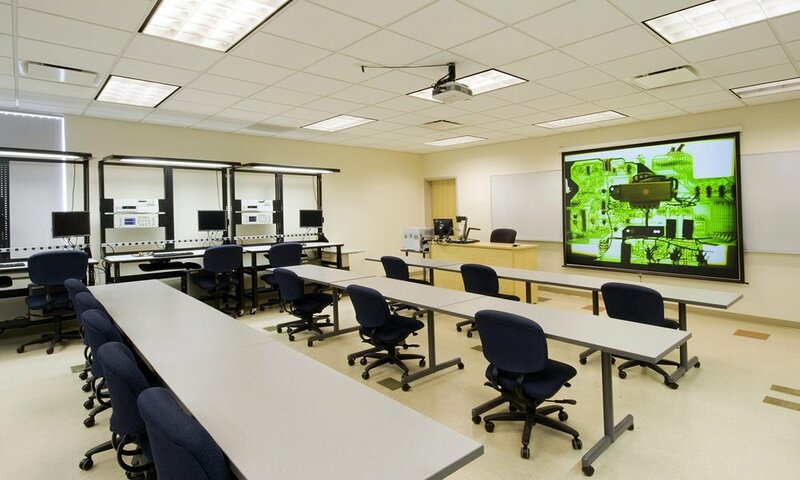 The new Hartleb Fine Arts and Technology Center provides specialized academic and multipurpose space for Northern Essex Community College's (NECC) Haverhill campus. 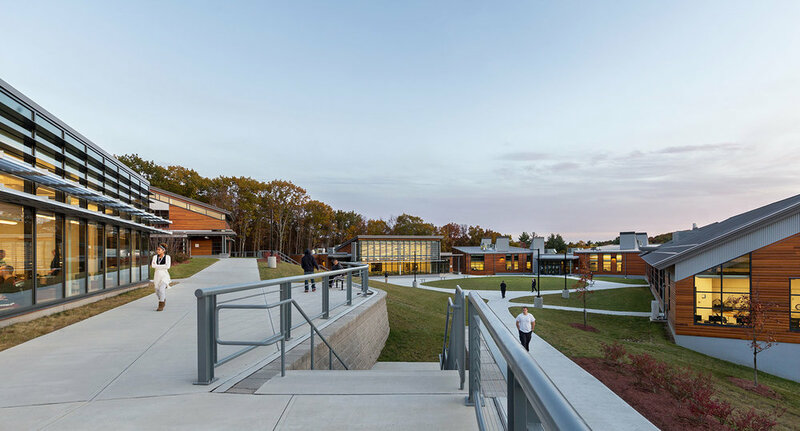 It frames the campus entry and completes the main quadrangle, creating a signature, contemporary image for the College and the greater Haverhill community. 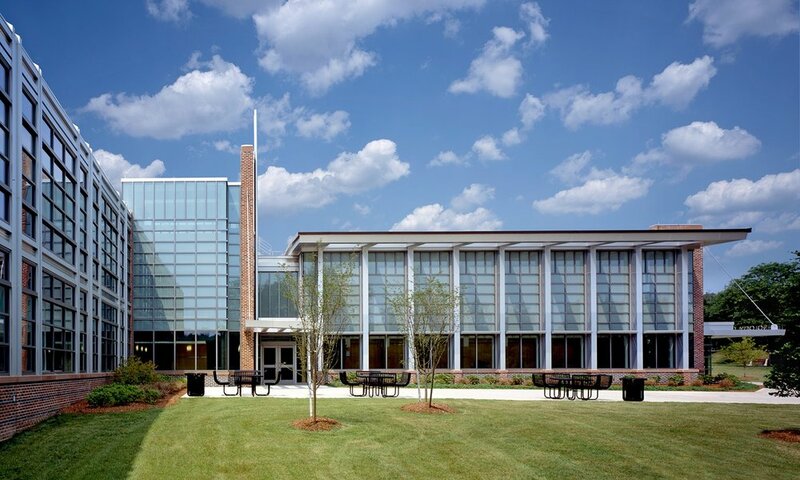 A linear spine defines the prime student route, from the campus entry past multipurpose room, main entrance and coffee bar to the community access from the parking lot. 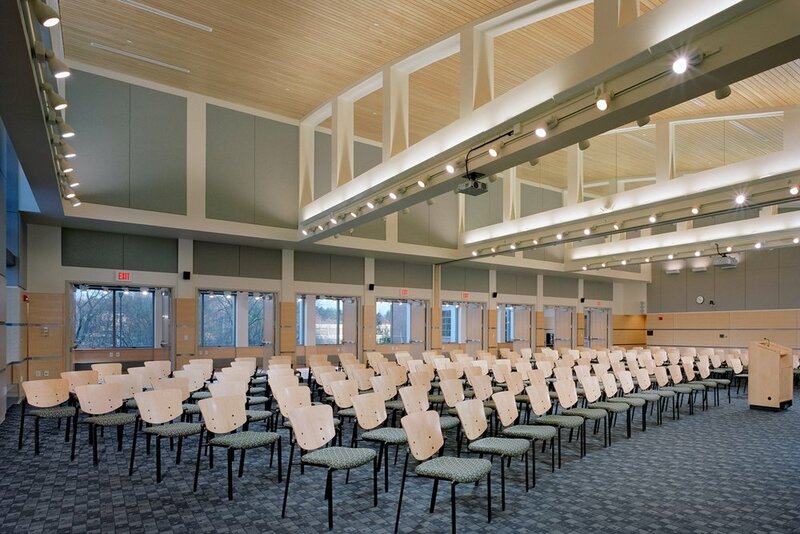 The vaulted multipurpose room, designed for conferences and community events, gestures to the heart of campus through tall foyer windows. The two-story wing houses fiber optics and smart classrooms, network labs, faculty offices, photography studio, ensemble rehearsal and music practice rooms. 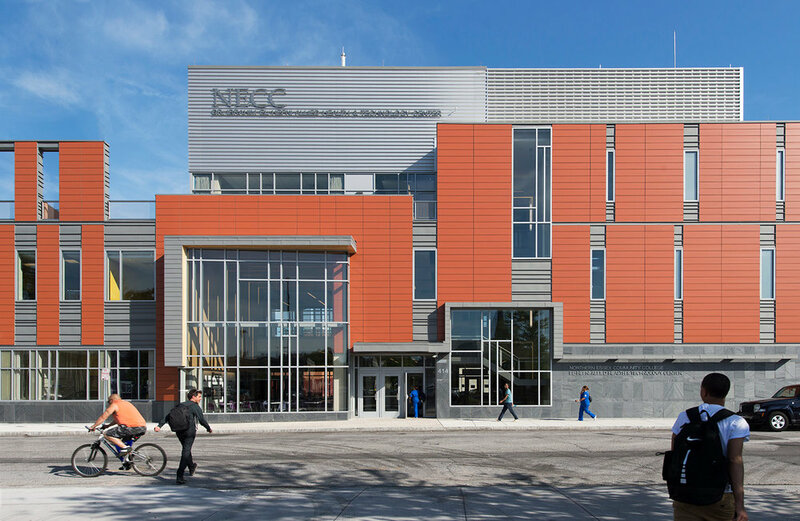 The building was designed to mimimize energy usage with an east-west building orientation, solar shading of windows, and use of fritted glass enhance daylighting and minimize summer heat gain. Site and roof runoff recharges nearby wetlands that were expanded to protect riverway. High performance building envelope and condensing boiler save energy.